Tuberculosis can affect many areas of the body, but it most commonly causes disease in the lungs. The American Thoracic Society, in conjunction with the Centers for Disease Control and Prevention and the Infectious Disease Society of America, has formulated a classification system for TB to help guide treatment of the disease and provide an operational framework for public health agencies. This system uses 6 categories of pulmonary TB -- 0 through 5. Class 0 indicates individuals who are not infected. People in this group have had no exposure to TB, and their tuberculin skin test results, if done, are negative. People in class 1 have been exposed to TB, but their subsequent tuberculin skin test results are negative. The follow-up course of action for people in this category depends on several factors, including how recent and extensive the exposure was and the overall health of the individual. Significant exposure within the past 3 months warrants a follow-up skin test at about 10 weeks after exposure. Sometimes, treatment is started while waiting for the skin test results, particularly in individuals with HIV or young children. Class 2 identifies those people who have a positive reaction to the tuberculin skin test but no symptoms or other evidence of TB on a chest x-ray or additional testing. People in this category do not feel sick and cannot spread the disease at this stage, but if left untreated, latent TB has the potential to develop into active disease, or class 3 TB. Recommended treatment varies depending on a number of factors. For example, people with HIV and infants and children less than 5 have an increased risk of developing class 3 TB, so they may warrant additional or longer treatment regimens. Class 3 includes anyone with active TB based on the presence of symptoms or positive laboratory testing. Typical symptoms include a persistent cough that may produce blood or mucus, fever, chills, night sweats, pain in the chest, loss of appetite, weight loss and weakness. 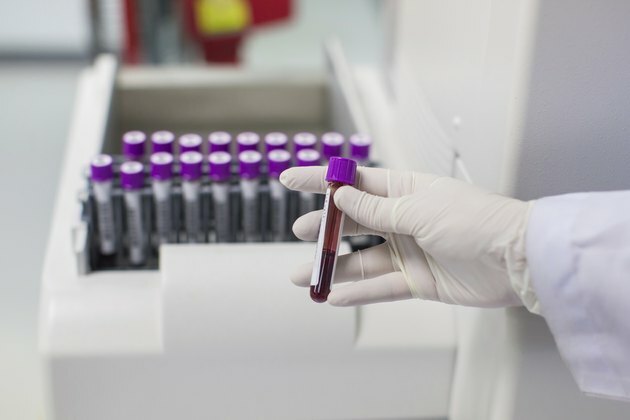 A diagnosis of active TB can be confirmed via a number of lab tests, the most important of which is identifying the presence of Mycobacterium tuberculosis -- the bacteria that causes TB -- in the body. The most common way to diagnose active pulmonary TB is by finding the bacteria in a sample of sputum. Class 4 TB identifies people who had active TB in the past but no longer show any evidence of active disease. Their skin tests are positive and chest x-rays may be abnormal, but they have no symptoms and their lab tests are negative. Class 5 includes those individuals who are suspected of having TB but are still waiting for test results to confirm whether they have the disease. Some people in class 5 may already be receiving treatment while they wait for the final test results. Once all test results are completed, the individual will be moved to the most appropriate class.